“The Music of Erich Zann.” Illustration by Andrew Brosnatch, drawn for the reprint of the story in the May 1925 issue of Weird Tales. Image from Robert Weinberg’s online collection of fantasy and science-fiction art. Did I tell you that Little Belknap and his Grandpa are both to be represented in the coming weird anthology—Creeps by Night—edited by Dashiell Hammett and publishing by the John Day Co.? 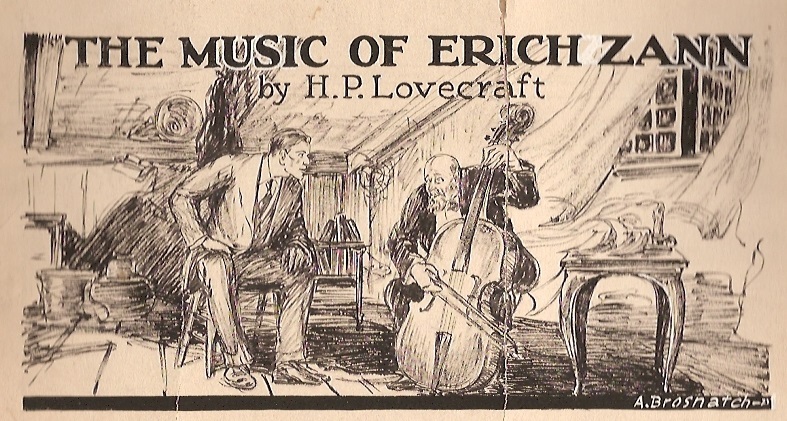 Sonney’s story will be A Visitor from Egypt, and mine will be The Music of Erich Zann—a favorite of my own, by the way. We got only twenty-five bucks apiece, but the prestige may be helpful in dealings with editors. . . . 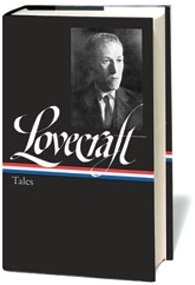 It was one of the most reprinted of Lovecraft’s tales during his lifetime, and the author ranked it second only to “The Colour Out of Space” among his own works. The story appeared first in early 1922 in National Amateur, the house organ of the National Amateur Press Association. (A few months later, Lovecraft became the interim president of the organization after its executive apparently “ran off with a chorus girl.”) The story was later picked up by the editors of Weird Tales and appeared in the May 1925 issue. According to literary scholar S. T. Joshi, the Hammett-edited anthology containing Lovecraft’s and Long’s stories was “notably successful”: it was reprinted several times, paperback editions were issued, and the volume appeared in England—which explains why “The Music of Erich Zann” filled an entire page of the London Evening Standard in 1932, earning Lovecraft another $21.61. I have examined maps of the city with the greatest care, yet have never again found the Rue d’Auseil. These maps have not been modern maps alone, for I know that names change. . . . If you don't see the full selection below, click here (PDF) or click here (Google Docs) to read it—free!